Let’s face it, tried and true gifts like jewelry and flowers make shopping for mom easy on Mother’s Day. In contrast, fathers can prove particularly challenging. Your dad could have a hobby — think coin collecting or diehard sports fandom — that alleviates shopping anxiety. Others, however, might feel hesitant supplying their fathers with yet another tie or pair of cufflinks that will grow dusty. 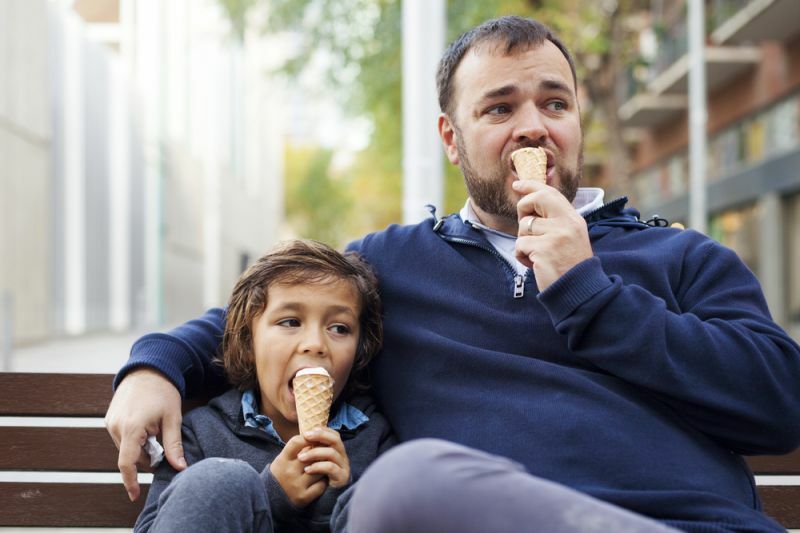 Despite this awkwardness for some, the National Retail Federation’s annual survey carried out by Prosper Insights and Analytics found that more respondents surveyed plan to increase their Father’s Day budgets over last year, compared to those who will be cutting back. Using NRF data, the team at FindTheData visualized other planned spending trends for Father’s Day 2016. With more Americans increasing their Father’s Day expenses, spending on the holiday will reach a record high. Planned spending sits at nearly $14.3 billion this year, the highest it’s been since 2003 (the first year the survey was administered). This figure represents a near 50 percent increase since the height of the Great Recession in 2008. That said, it pales in comparison to that of Mother’s Day, which hit $21.4 billion this year. While over half of respondents plan to purchase gifts for their fathers, they are not the only recipients of gifts this holiday. Over a quarter of purchases will be made for husbands, while nearly 10 percent will be gifted to sons. While special outings come in second for Mother’s Day, after jewelry, it’s the highest spending category for Father’s Day — with over $3 billion projected. Popular gifts for both holidays include gift cards, consumer electronics and greeting cards, although spending on greeting cards for Father’s Day trounces Mother’s Day by about $133 million. Home improvement, sporting goods and automotive accessories are popular spending categories unique to this holiday. When it comes to where Americans will spend their hard-earned money, department stores and online retailers are nearly neck and neck, competing to dominate the holiday. Whether just the right gift is in order or a simple phone call will do, many Americans will be making last-minute purchases in the coming days, creating a record-high holiday for retailers.